These two books, A Visit from the Goon Squad by Jennifer Egan and Sandakan A Conspiracy of Silence by Lynette Ramsay Silver, are both important, admirable, interesting to read and yet painful in different ways. 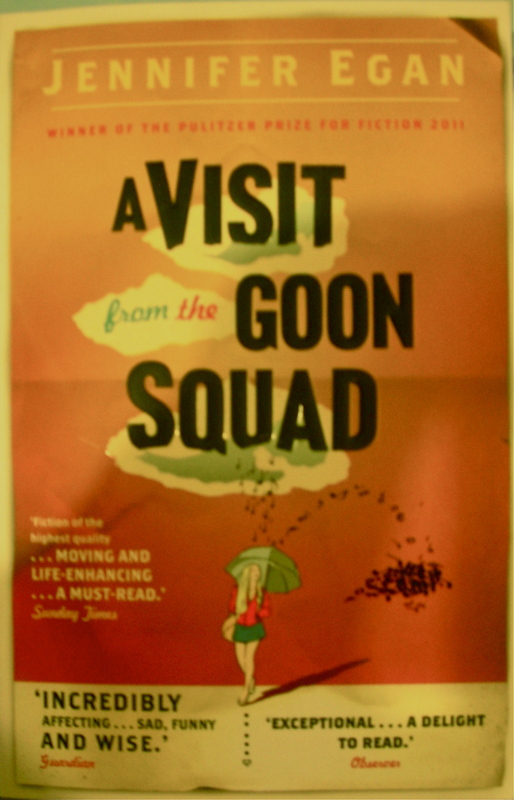 Jennifer Egan’s A Visit to the Goon Squad came with starry recommendations from many sources. The writing is sharp, uncomfortably realistic and funny. It tracks forwards and backwards through the individual lives of a group of people who all have connections with each other. For me, the milieu – the American music and celebrity scene from the 1960s to some terrifying future – is strange and alien. So, as a reader I felt a bit of an outsider peering through the bars in a zoo. Only occasionally could I empathise with the characters. This distance vanishes with the graphic section (flow charts, not comic strips) of the book (set in the year 202-). This is a child’s diary and also a brilliant description of day-to-day family life with an autistic sibling. I loved this, it is 3D writing at its best, it has the concentration of poetry, but an almost sculptural structure. Did I enjoy this book? Not really, but I am immensely glad I read it. 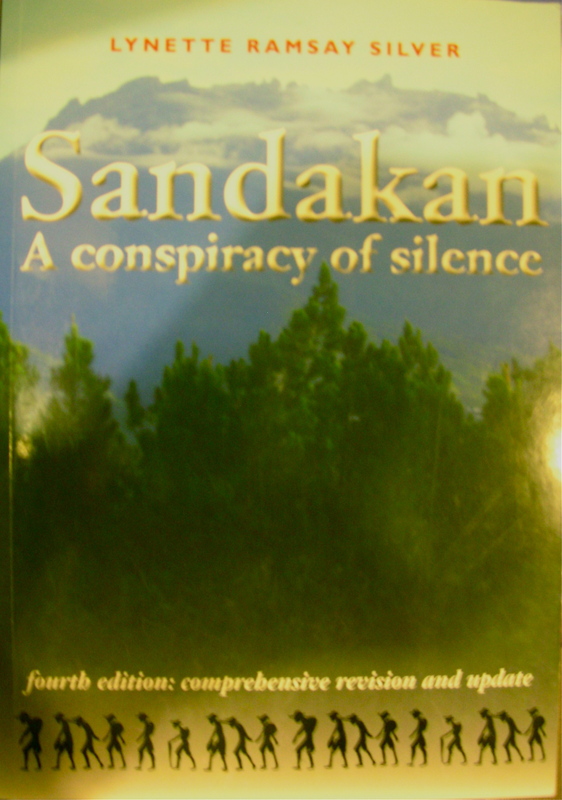 Lynette Ramsay Silver’s Sandarkan, A Conspiracy of Silence (4th Edition), I bought for research purposes. It is the story of the death by disease, malnutrition, brutality and outright murder of 2428 POWs in Borneo during WWII and the failure of Allied plans to effect any rescue. The majority of the men, 1787, were Australian, but the among the 641 British were four young men from Barry’s 27 Line Section. There was a total of six survivors, all Australian. This book is a monument to the memory of these men and to painstaking research. Every name, every known detail of the men, their lives, their deaths, the recovery of bodies and possessions littering inaccessible jungle areas and their burial, has been uncovered and recorded. My research has made me familiar with the worst deprivations, diseases, brutalities and appalling working conditions of Far East POWs in WWII. So as I started reading about the Sandakan POWs, the early years of their incarceration, though grim, seemed better than for POWs on the Thailand-Burma Railroad. From late 1944 onwards, however, their lives grew unspeakably awful and death inevitable. Large numbers of the men were marched in groups across impossible territory until they fell out and either died or were despatched by their guards. Others were starved to death, massacred in Sandakan or even killed by allied bombing. The book is even more painful to read because, with hindsight, we know that all their attempts to survive were futile. The ones who died early on were the lucky ones. Even worse is the knowledge that rescue attempts, planned but cancelled, could have been successful. I am in awe of the monumental task undertaken by Lynette Ramsay Silver and very grateful to her for the scope of her grim, but I hope rewarding, research. For me it has been necessary, but anguished, reading. This entry was posted in POWs, Reading, Writing notes and tagged A Visit from the Goon Squad, Far East POWs, Jennifer Egan, Lynette Ramsay Silver, Researching FEPOW History, Sandakan A Conspiracy of Silence, WWII by hilarycustancegreen. Bookmark the permalink. With the unimaginable cruelty of the POWs exposed in numerous books one would wish these conditions would never be repeated. But, it seems men’s inhumanity against men does still rears its ugly head. This cruelty is calmly and deliberately executed with full approval of our government. A shame that Australia will finally have to own up to. We can only be grateful that Amnesty International does still exist. I fear that as soon as you give one individual total power over another you run a very high risk of rousing some streak of cruelty that seems to be a part (though not a universal one) of the human make up. As you say, thank goodness for Amnesty International. I had forgotten about Sandakan, thank you very much! I was so appalled by when I first heard about the Borneo prisoners, that I tried to avoid researching it. However, with four of my men definitely dying there, I have finally made myself understand their fate.